South Australia’s defence industry and small business sector must “get organised and strategic” to land lucrative contracts on future defence contracts, according to Minister for Defence Industries Martin Hamilton-Smith. Speaking ahead of the DefenceSA’s South Australian Industry Engagement Forum – which was held yesterday at Mawson Lakes – the Minister said the next 20-30 months will define how local industry can benefit from the next two to three decades. “Now is not the time to rest on our laurels. There is a significant body of work on the near, medium and far horizons for our state’s industries,” he said. Mr Hamilton-Smith said the next couple of years will signal the start of a massive shipbuilding undertaking in the country, which SA companies must capitalise on. Construction of the $3 billion Offshore Patrol Vessels – which will lead to 400-plus direct and 400 indirect jobs – starts at Techport in 2018, while the $30 billion Future Frigate program – expected to create approximately 2,000 direct jobs – is due to commence in Adelaide in 2020. 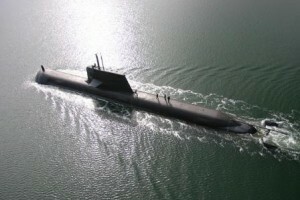 The $50 billion Future Submarines project will commence in 2022. According to estimates, it will create 2900 direct jobs in South Australia, 1700 of which at ASC, 100 at DCNS office, 600 in supply chain and 500 jobs in combat system integration. “There’s every reason to be excited about these projects and plenty of opportunity to get involved in the supply chain. But the opportunities won’t just fall into the laps of firms; they’re going to have to compete for it. If we sit back and wait, we’ll miss out,” the Minister added.